I used to love using sheet mask because they were cheap and effective. But I hated that it was always too wet and dripped everywhere. They were also not moisturizing enough for me especially in the winter. I’ve started using overnight mask a while ago. Overnight/sleeping mask is basically a mask you put on before you sleep and then just leave it on until you wash your face the next morning. It really is more like a night cream of some sort but you don’t have to use it every night. 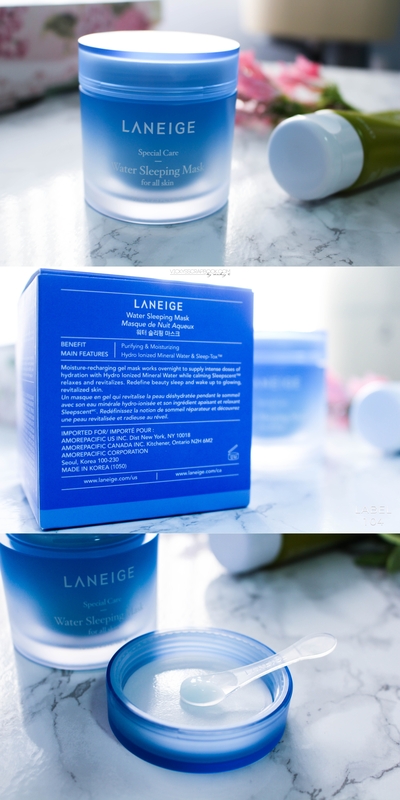 My newest favorite is the Laneige Water Sleeping Mask. It’s a gel mask that claims to “recharge your dehydrated skin while you sleep”. I find that it does help with my dehydrated skin and I love that it’s a bit more watery than my other overnight mask but not as watery as a sheet mask, where it’s starts to drip everywhere. My other overnight mask is a bit more creamy feeling so it does feel a bit more heavy for the hot weather we’re having here in California. But this mask is perfect for the weather and really doesn’t feel heavy at all. My other favorite sleeping mask is something I’ve mentioned quite a lot; it’s the Origins Drink Up Intensive Overnight Mask. My skin is super dry and especially in the colder seasons, I start to have dry patches and skin flakes off. I started using this mask about a year ago and it’s a lifesaver for me. It’s a bit thicker in consistency than the water sleeping mask and so lately I haven’t really used it. But winter is coming (Game of Thrones pun not intended lol) so I’ll be using this mask a lot more when it’s colder. I’ve tried a lot of other sleeping mask but these two are by far my favorite. 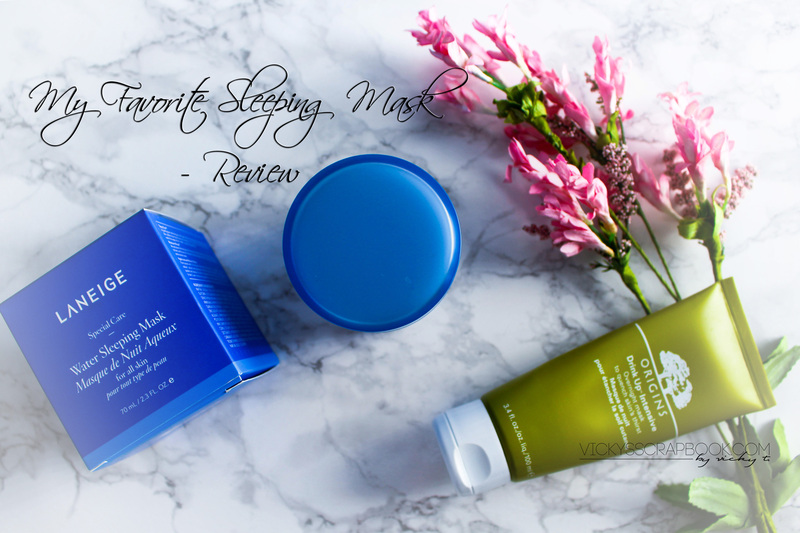 Have you found your favorite sleeping mask yet? 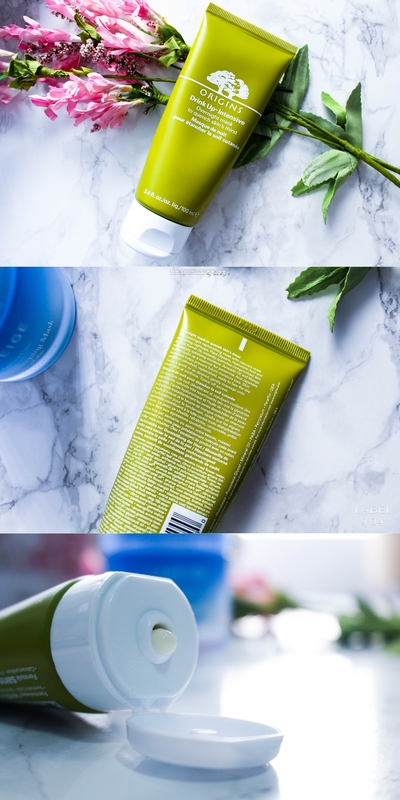 Ohh the Laneige is my favorite 😀 Hahaha I really want to try the Origins one too! ❤ It sounds great for the winter! I’ve never tried sleeping with a mask on. Does it not make your pillowcase and sheets messy? I sleep at others’ homes all the time because I’m a petsitter, and I would not want to damage their bedding. Happily Rent Free and Sustainable in Nyc!